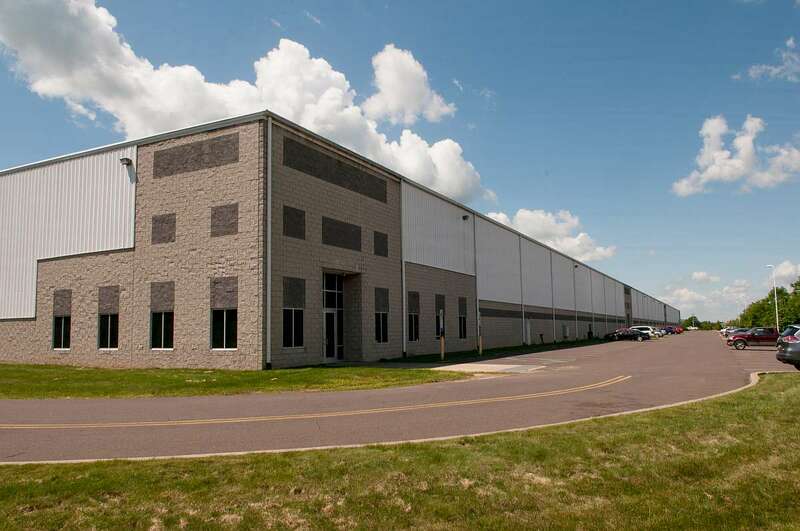 An affiliate of Endurance Real Estate Group, LLC (“Endurance”) is pleased to announce a new lease at the I-81/NEPA Bulk-Industrial Portfolio, a three (3) building bulk warehouse/distribution portfolio totaling 544,640 SF. A national tenant in the engineering and construction business signed a lease totaling 45,974 rentable square feet at 15 Alberigi Drive. The lease commenced on September 1, 2016. The tenant was represented by Stephen Cole at NAI Mertz of Pennsylvania. Endurance was represented by the Cushman & Wakefield team of Daniel Walsh & Gerry Blinebury. Since acquiring the Portfolio, Endurance has overseen multiple improvements at 15 Alberigi Drive including a complete upgrade of the warehouse lighting to T5 fixtures and the construction of flexible shell office space and restrooms, all of which enabled the tenant’s quick moving space requirement to be met. The I-81/NEPA Bulk-Industrial Portfolio includes 7 and 15 Alberigi Drive in Jessup Borough, consisting of 166,500 SF and 129,500 SF, respectively, and a 248,640 SF building at 32 Earth Conservancy Drive (formerly 32 S. Preston Drive) in Wilkes-Barre. The portfolio is situated in the Northeast PA submarket of the I-81/I-78 Distribution Corridor, offering users immediate proximity to I-81 and close proximity to I-476 (PA Turnpike), I-80, I-84 and I-380. The Portfolio was constructed in the late 2000’s and feature Class A warehouse/distribution specifications including 30’ clear ceiling heights, ESFR sprinkler systems, and ample (and expandable) loading capacity with full dock packages. 15 Alberigi Drive has 83,566 SF of remaining available space with multiple storefront entrances to efficiently accommodate tenant suites down to 27,000 SF while the adjacent 7 Alberigi Drive building currently offers a full building availability totaling 166,794 SF with ample office finish and power capacity. 32 Earth Conservancy Drive in Wilkes-Barre offers a 124,080 SF contiguous block of available space (demisable down to approximately 40,000 SF units) with 1,800 SF of recently constructed office space, with the other 50% of the building occupied by Rehrig Penn Logistics. Endurance Real Estate Group, LLC (www.endurance-re.com), founded in 2002, is a Bala Cynwyd, Pennsylvania-based real estate owner/developer focused on income and value creation opportunities located in the Mid-Atlantic region. Since its formation, the company has acquired approximately $400 million of assets totaling over 8 MSF and currently owns and operates a portfolio totaling 3.4 MSF. Affiliates of EREG have closed on six separate transactions in the last year totaling almost 1.4 MSF of office, warehouse, distribution and flex space, including among other assets, 550 Glen Ave & 600 Glen Ct, two bulk industrial buildings in Moorestown, NJ, 3747 Hecktown Rd., a 307,000 SF bulk industrial building in Pennsylvania’s Lehigh Valley, and the Naaman’s Creek Business Center, 5 flex industrial buildings totaling 190,729 SF located in Upper Chichester, PA.